You Have the Power to Prevent Diabetes! | Live Healthy S.C.
You Have the Power to Prevent Diabetes! 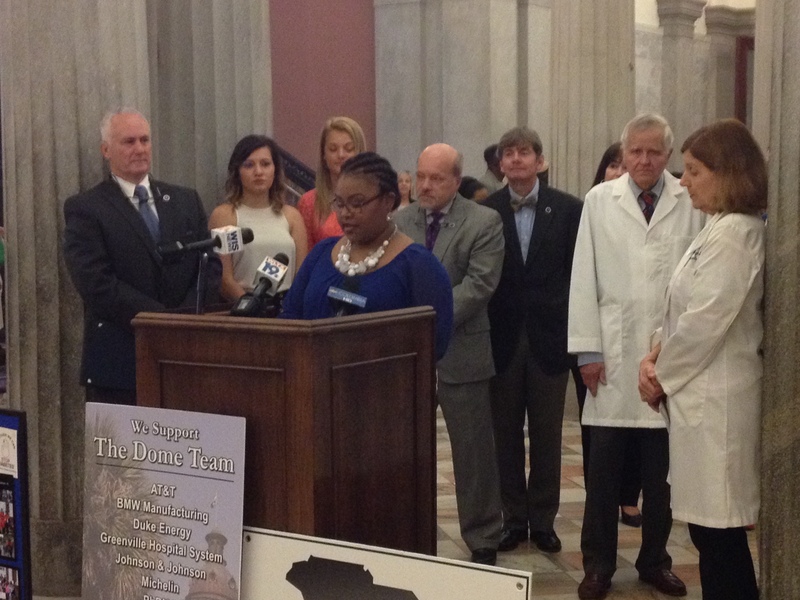 Dr. Rhonda Hill, DHEC Director of Diabetes, Heart Disease, Obesity and School Health, along community partners at a press conference at the S.C. State House celebrating Diabetes Alert Day earlier this week. Type 2 diabetes usually begins with insulin resistance, a condition linked to excess weight in which your body’s cells do not use insulin properly. Over time, high blood glucose damages nerves and blood vessels, leading to problems such as heart disease, stroke, kidney disease, blindness, dental disease, and amputations. According to the Centers for Disease Control and Prevention (CDC), individuals can delay and possibly prevent the disease by losing a small amount of weight (5 to 7 percent of total body weight) through 30 minutes of physical activity 5 days a week, and healthier eating. Increasing the number of active diabetes prevention program sites for the primary prevention of type 2 diabetes. To learn more about diabetes prevention and management, please visit the DHEC website. This entry was posted in Uncategorized and tagged diabetes on March 26, 2015 by SC DHEC.